Vikas started Hungrybags.com 7 years ago and has bootstrapped the business and technology aspects of the portal ever since. In these 7 years, under Vikas' leadership and with the help of his technological and business acumen - Hungrybags.com established itself as a self-sustaining holiday solutions provider and online travel portal to reckon with. A law graduate with B.Com (Hons.) 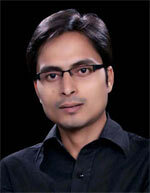 degree from Delhi University, Vikas wanted to break from the traditional family profession of law. So, Vikas started his business career in 2003 and took the entrepreneurial leap by establishing Teleact Call Centre. His clients included top banks and Telcos; namely Hutch (now Vodafone), Airtel, Tata Teleservices Limited, Idea Cellular, ICICI Bank and ABN Amro. Not to be restricted by geography, he expanded his business to include a Recruitment arm based in Dubai and India catering to top banks. He has received various awards and recognition, including "National Top Performer Agency" from ABN Amro Bank and the "Score Kaya Hai" Annual Award from Hutch. Vikas finally pursued his life-long passion for travel as a business, by establishing Hungrybags.com & subsequently Travshoppe.com. Vikas foresaw back in 2010 that technology will play an important role in the future of the travel business. Therefore, he went ahead and set up in-house technology arm within Hungrybags.com rather than outsourcing the technology. He built a robust IT team from the ground-up, developing various innovative modules for the site and a robust CRM solution. Entrepreneurship, Ideation and Innovation, according to him, are the keys to success, be it in business or in life. He believes that technology will play a bigger and better role in smaller, unorganized set-ups. He also believes that power of online and technology has to go from bigger hands to smaller ones. He believes that enabling smaller retailers/agents with technology and content, will create a robust and sustainable eco-system for the future - a philosophy that captures the essence of Travshoppe.com. 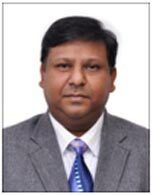 Sunil Tanwar has been working with Hungry Bags Private Limited as Director Technology and process from last 4 years. Being an IT professional and having experience in technology development for travel companies, he is responsible for creating and establishing the software services, web services, web applications, offline/Online back panels, Client Communication and managing operations. He has an experience of over eight years in the field of Web Development & Services along with a healthy expertise in IT support in dynamic travel industry. 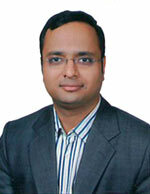 Before joining Hungry Bags, Sunil was engaged with Swiss Holidays Pvt Ltd as a senior software engineer. He has done tremendous job there by managing several big clients of the company like The Luxury Trains and The Swiss Holidays. He has been known for his great managerial skills and innovative ideas. He also assisted in the coordination of in-house technical and field support, quality assurance and software development. Talking about his academic qualification, he holds degrees of MCA and Msc Computer Science, Certificate in Oracle, Certificate in Hardware & Networking. Before that, he has done his graduation in Commerce. Being a technology-lover, Mr Sunil loves to immerse with new gadgets. In his leisure time, he also pursues his passions of travelling, driving and playing cricket. Pankaj Chaudhary is the Head - HR Strategy and Operations of Hungry Bags Private Limited - India's latest, most interactive and fastest growing online travel and deals portal. www.hungrybags.com is on its path to becoming one of the leading travel and deals portal in India and the globe. Pankaj heads the entire Human Resources Operations and Strategy wing of Hungry Bags and its subsidiaries across India and Dubai. Prior to joining Hungry Bags in the year 2009 - Pankaj has had 6 years of work experience in varied fields. Pankaj started his career in mid 2003 as a faculty member in NIIT, where his key responsibility areas included providing training to the Government and Defence vertical. 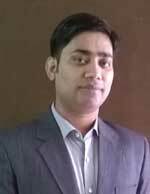 In 2007, Pankaj joined Nippon Data Systems Limited as Team Lead - Recruitment and was responsible for handling both in-house manpower recruitments of those of Nippon's other major IT clients. Soon thereafter, he joined Skill Point Management Consultancy - now a part of the Hungry Bags Group - as the Team Lead - Recruitment and quickly worked his way up to become the National Head - Recruitment for both IT and non-IT verticals. Skill Point under his leadership not only expanded its footprint in Delhi and Dubai, it also acquired a major roster of clients which now includes heavyweights like Canon, NIIT, CSC, Acer, Knorr-Bremse and Agnity. Under Pankaj's guidance Skill Point Management saw a 100% growth in revenues during his tenure. On the establishment of Hungry Bags Private Limited - Pankaj became one of the first few members of the core team and was initially responsible for a plethora of departments - from entire recruitment to administration to operations. As Head of Human Resources Strategy and Operations, a key component of Pankaj's role will be devising strategy and processes and overseeing their implementation - apart from meeting the organisational human resource goals and requirements. A commerce graduate from Delhi University, Pankaj is also a software engineer from NIIT. He has a Certificate in Human Rights from IGNOU, New Delhi. In his leisure time, Pankaj pursues his passions of travelling and cricket. In fact, he has also played at the State level (under-14) for Assam. Rajeev Saxena (RS) is a qualified Cost & Management Accountant and Company Secretary with nearly 18 years of experience in Financial Management and had been holding position of Chief Financial Officer/Vice President with Large Multinational companies in past. RS is a strategic financial planner with expertise in designing and implementing systems/procedures to facilitate internal financial controls and compliances and enhance the overall efficiency of the organisation. Known for his excellent analytical skills, his area of expertise also include Budgetary controls, Financial Reporting and analysis , P&L Management, ERP System implementation, fund Management, Taxation- Domestic & International , auditing, Commercial Operations and legal affairs to name a few. Aniruddho Chakraborty is Head - Brand and Strategy of Hungry Bags Private Limited - India's latest, most interactive and fastest growing online travel and deals portal. www.hungrybags.com is on its path to becoming one of the leading travel and deals portal in India and the globe. As Head of Brand and Strategy, Aniruddho oversees Hungry Bags' brand strategy, corporate and marketing communications and also takes care of market research, new business strategy and innovations. 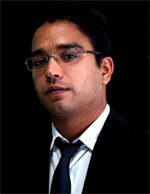 Aniruddho brings to the table five years of experience in fields such as journalism and telecom. His last assignment was with Tata Teleservices Limited where he was a part of the Corporate Communications team. At part of Tata Teleservices Limited he has worked in various fields such as Public Relations, internal communication and Corporate Sustainability. He was also part of the team which won the prestigious Asia Publishing Award for Excellence 2010 for the Most Innovative Corporate Communications campaign. At the start of his career Aniruddho worked for a short while as a journalist for The Economic Times and handled beats like telecom, IT and retail. Aniruddho is a commerce graduate from SRCC, Delhi University and has done his Post Graduation in Advertising and Public Relations from Indian Institute of Mass Communication, New Delhi. He did his schooling from The Doon School, Dehradun. A comic book aficionado, Aniruddho devotes most of his leisure time reading novels, collecting graphic novels and creating his own comic book lines.